Cairo: Egypt’s stagnant exchange rate is likely to see more movement after a system that guaranteed foreign investors could repatriate dollars was terminated, but the central bank stands ready to fend off speculators and ensure debt holders don’t lose out, Governor Tarek Amer said. Amer’s remarks could help reassure foreign investors scrutinising Egypt’s economic policy as the country wraps up a three-year, $12 billion economic overhaul agreement with the International Monetary Fund this year. We will witness more volatility in the currency after the repatriation mechanism was shut down as investors will now have to go through the interbank market. Before securing the IMF loan in November 2016, authorities liberalised the exchange rate, causing the pound to halve in value virtually overnight and helping unleash billions of dollars of inflows into local-currency debt. Yet despite the upheaval that has battered other emerging markets, the currency has hovered around 18 to the dollar ever since, raising questions among investors about how free the float really was. “Now we can raise funds from sovereigns, international banks and portfolio investors,” Amer said, adding that a lack of financial derivatives in the market had also offered shelter from the broader emerging market tumult. Egypt’s foreign exchange reserves in November 2018. 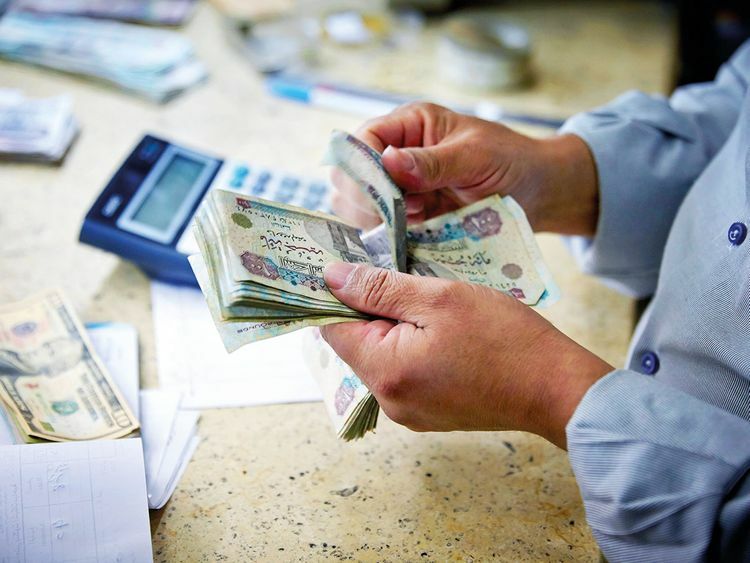 Remittances from Egyptians working abroad rose 8 per cent in the period between January and October to $21.4 billion, while a surplus in the travel balance hit $3.2 billion in the first quarter of the 2018-19 fiscal year, according to central bank figures. Amer said he expects the current account deficit to narrow to 2 per cent by the end of the current fiscal year in June from 6.1 per cent in 2015-16, the last full year before the currency reform. Egypt’s foreign exchange reserves recovered from about $15 billion before the devaluation to an all-time high above $44 billion in November. They dropped about $2 billion the following month, due partly to a hold-up in the fifth instalment of its IMF loan. The instalment had been due in December, but was delayed as Egypt hashed out with the international lender the timing of planned changes to its fuel-pricing mechanism.